Social media marketing is more relevant than ever in 2019. No matter who you are or what you’re marketing, you need to be on at least one (preferably multiple) platforms if you want to improve brand visibility. These sweet statistics for 2019 will help you make the most of the year by giving you a “leg up” on the competition. After all, information IS power. Facebook use is declining; in tota, their usership dropped by about five percent in 2018. But that doesn’t mean the platform isn’t still useful. On the contrary; nearly 68 percent of American adults use it every single day. This is still a significantly large potential audience! We are also seeing shifts in how marketers interact with users on Facebook. Nearly 93 percent of the platform’s ad revenue comes from ads shown on mobile devices. This may be a result of increased mobile app use or a result of the fact that browser add-ons can now block ads on Facebook. Either way, it’s a good reason to start focusing on mobile ads this year if you haven’t already. Want to make the most of Facebook’s changing landscape? Post between 12 and 4 p.m. Researchers have proven this is the best time to see and be seen – especially on Fridays at the end of the week. It turns out Instagram just might be for the young, rich, and famous. Statistics show that the platform is overwhelmingly dominated by people between 18 and 24 years of age. 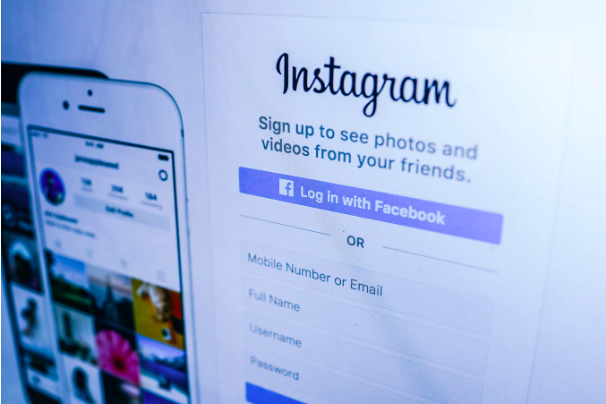 Surprisingly, nearly 60 percent of people who use the Internet and have an annual income over $100,000 have an Instagram. For luxury brands, this will be a key market in the coming year. We’ve also noticed a shift in how brands use Instagram. Instead of speaking to audiences directly, it’s far more effective to work through an influencer. The platform’s algorithms are less restrictive, meaning you’re more likely to get noticed if you do. Are you B2B or B2G? Maybe you’re marketing to a demographic of under-30 professionals or freelancers. Either way, new statistics show that LinkedIn is where you want to be; that’s the platform’s largest daily user group. Coming in at a close second are people who are between 30 and 49. LinkedIn also happens to be one of the only social media platforms with a fairly equal divide between men and women. This is ideal for unisex marketing, but it’s also a great place to be if you’re involved in equality initiatives, too. Love to keep it short and sweet – or maybe you’re marketing to millennials? Twitter is the hot spot right now. They brought in nearly a billion dollars in ad revenue in Q4 2018 alone; others are obviously finding success there, too. Surprisingly, Twitter also seems to have a growing B2B audience, too. This report showed that tweets sent to business audiences performed 16 percent better if posted during regular business hours. In contrast, tweets shown to customers did better on the weekends. It just makes sense! Last but not least, here’s a little snippet to take with you: Twitter has also grown exponentially in popularity in recent years. Despite this, it remains one of the most affordable platforms for marketers; cost per engagement decreased by 7 percent in November to December of 2018 alone. It continues to decline. Want to make 2019 your best year for social media marketing? Let’s talk! Reach out to Go Digital WSI today.